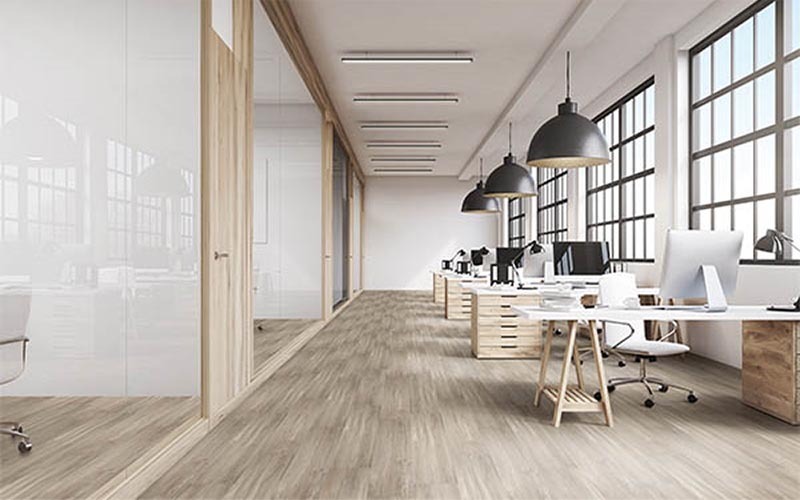 As the European vinyl manufacturer DLW ARMSTRONG closed a few days ago, we found relevant informing you that Supreme Floors does have equivalent vinyl floorings as the ones previously produced by DLW. They are floorings with similar technical charateristics and appearance. You will find equivalences to DLW Cenit, DLW Solid, DLW Favorite, DLW Medintone, DLW Favorite Acoustic, DLW Scala 55, DLW Scala 100, DLW Contour Conductive, DLW Pastell Conductive, DLW Royal Conductive, DLW Wallflex and DLW Timberline. Click on tabs to find the equivalences to DLW Armstrong floorings. 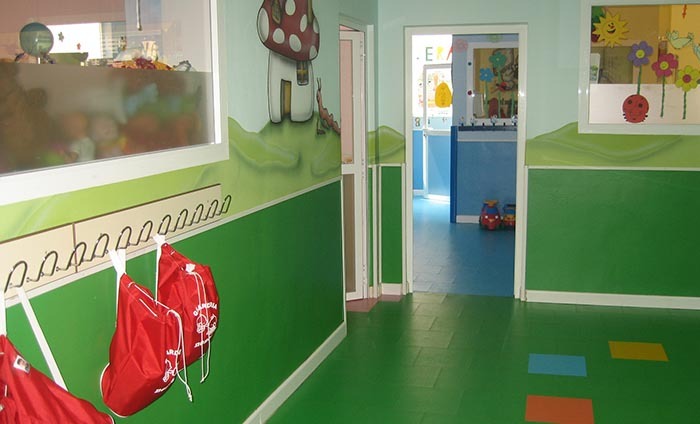 Infinity is an economic range of homogeneous vinyl floorings manufactured in rolls. Compact and PU reinforced, Infinity is resistant to heavy wear and offers an easy and cost effective maintenance. Infinity is treated with a bacteriostatic protection for a perfect hygiene. It is recommended to use Infinity in the following places: public buildings, offices, shops, schools, hospitals, airports, ships and all heavy traffic areas. Infinity S is available in rolls with 6 soft patterns and 1 thickness (2mm). Atlas is a range of direction-less patterns homogeneous vinyl floorings manufactured in rolls. Compact and PU reinforced, Atlas is resistant to heavy wear and offers an easy and cost effective maintenance. 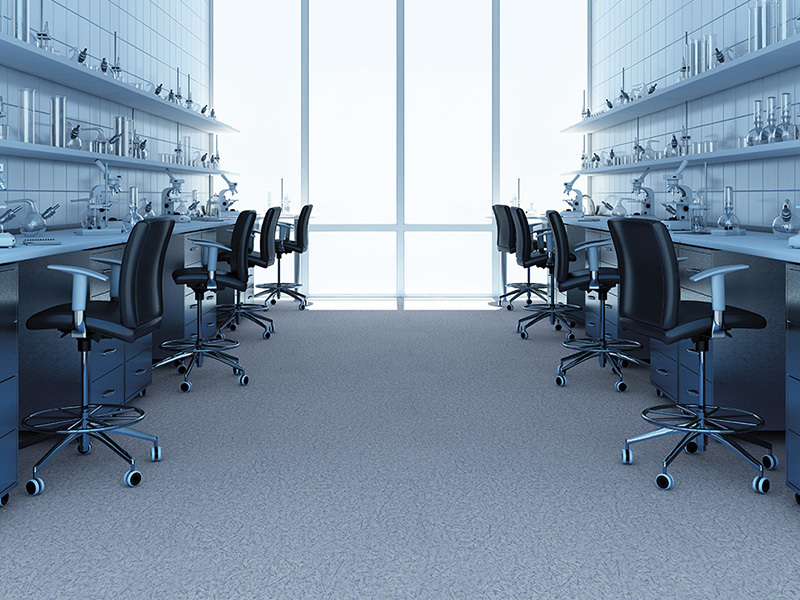 Atlas floorings ensure a perfect hygiene thanks to its treatment with a bacteriostatic protection. Atlas is especially advised in the following places: public buildings, offices, shops, schools, hospitals, airports and all heavy traffic areas. Atlas AS (antistatic dissipative) has antistatic properties, and therefore can be used in places where an ESD control is necessary (computer rooms, operation rooms, laboratories, factories…). Acoustyl is an acoustic vinyl floorings range produced in 2m wide sheets. Its closed cell foam backing guarantees a 19 dB sound absorption and an absolute walking comfort. The Supraclean® crossed-link polymer treatment ensures an easy and low-cost maintenance. Acoustyl can be used in hospitals, offices, hotels, schools, kindergartens and in places where a good acoustic performance is required such as auditoriums, libraries, buses, concert halls, movie theaters or religious centers. 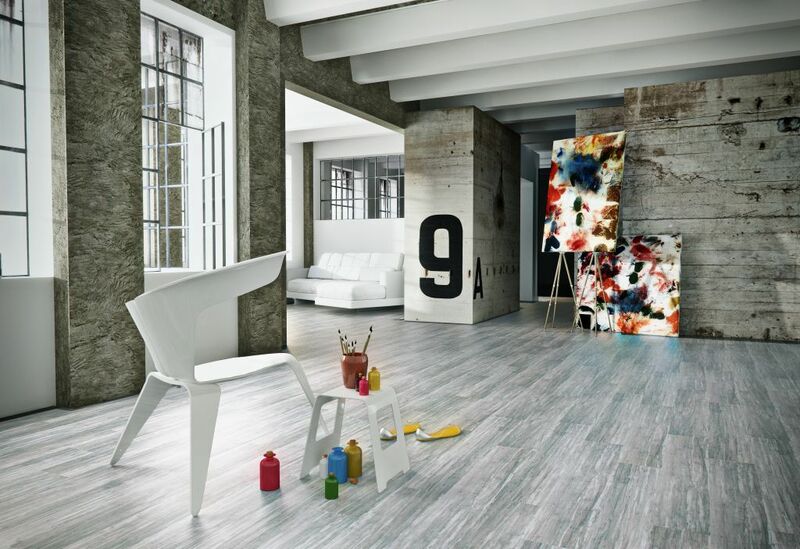 Elegance is a range of luxury vinyl planks and tiles imitating minerals and woods. Elegance is produced in 2 thicknesses. Not only Elegance is warm and realistic, but also it is highly durable and extremely resistant to scratch thanks to its pure PVC wear layer. Its PU treatment makes the maintenance easy and cost-effective. Elegance is the ideal flooring for shops, hotels, supermarkets, offices but also private homes. Rainbow is an heterogeneous floor and a wall covering produced in 2mm and 2m width. 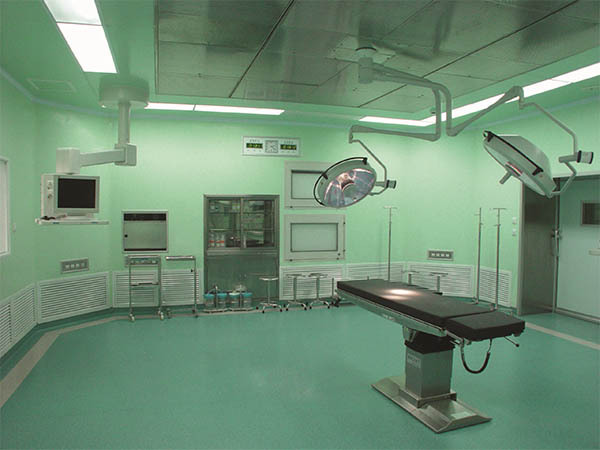 Its Supraclean ® protection makes it a very hygienic flooring. It is avalaible in solid colors, bright or pastel. Rainbow can be used under light traffic as a permanent floor covering, in temporary use as an event floor covering in theatres, photo studios, exhibition stands, or as a permanent wall covering in schools, offices, waiting rooms, kindergartens etc. Rainbow is also available in a glossy version for catwalks, TV studio, special events. 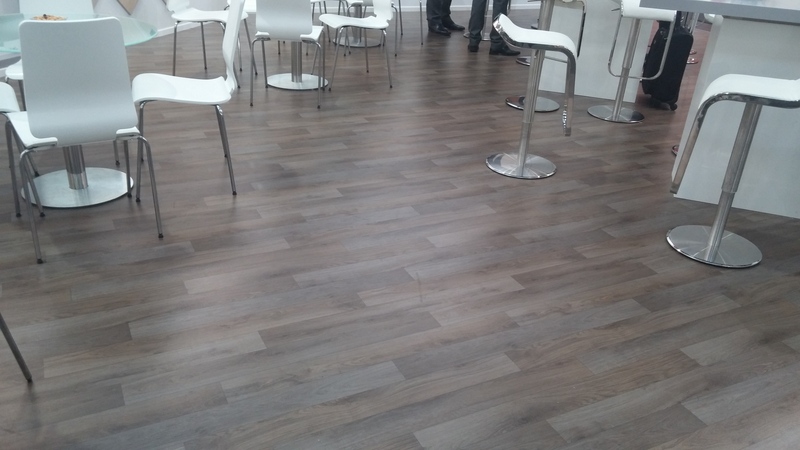 Acoustyl is an acoustic vinyl range of floorings with wood imitation produced in 2m wide sheets. Acoustic Wood responds to the highest criteria from schools, public places, and hotels when it comes to hygiene, resistance, maintenance and acoustic insulation. This acoustic flooring is avalaible in 8 wood patterns and 1 thickness (3.40mm). This direction-less homogeneous flooring responds to the highest criteria when it comes to hygiene, resistance, maintenance. It is a conductive flooring which allows its installation in computer rooms, laboratories, operation rooms, measurement rooms, military industry. The bottom layer has a conductive coating which allows the installation without conductive adhesive. 3 designs and 1 thickness (2mm). Available in rolls. Conducta is a range of conductive vinyl tiles complying with the EN 1081 Electrostatic Discharge (ESD) norm. Homogeneous and compact, Conducta is resistant to heavy wear and easy to maintain. It is available in tiles of 608 x 608 mm and in two different thiknesses: 1.7mm and 2mm. Conducta responds to the highest criteria of ESD control, avoiding the possible damage to sensitive machinery (measures). Conducta 7 (dissipative) avoids the creation of more static electricity whereas Conducta 5 (conductive) allows the evacuation of the ESD. The conductive version is installed on a copper strip connected to an earth plug.